This weekend sees two of our OCC Youth Team travelling to Perth to compete in the Youth Tour Of Scotland, Eleanor Hunt & George Radcliffe have been chosen to represent Yorkshire in this prestigious event. The Yorkshire team consists of four girls & four boys they will join 20 other Regional & Club teams from all over the country . The event is over three days with separate boys & girls races consisting of four stages Saturday a road race, Sunday morning is a short team trial and then a road race in the afternoon Monday concludes with a Kermesse . Racing on closed roads with Lead cars and Service cars , riders compete for the Points Jersey, Queen/King of the mountain Jerseys and Stage wins and of course the Team award. 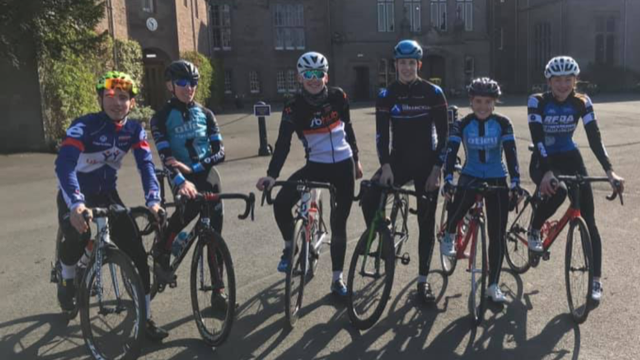 We wish Eleanor, George and Team Yorkshire the best of luck and thank all our OCC Youth Team sponsors and British Cycling Yorkshire in helping them to race at this massive event.